Measures 9 inches tall by 8 inches wide. 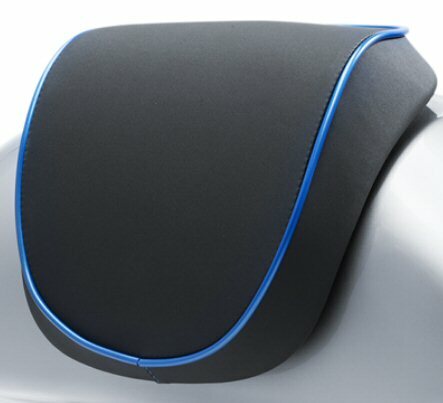 Please Note: This is not a stick-on or glue on backrest pad. It is a bolt on pad. To install this pad you must drill 3 holes in your top box lid.